Colliding the outdoors movement with innovative technologies, END. 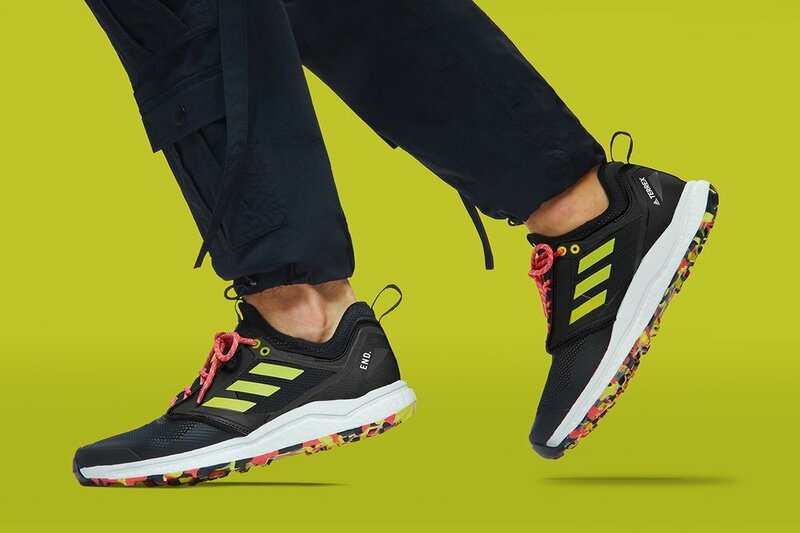 joins adidas on its first journey into heat-reactivity with their collaborative take on the Terrex Agravic XT. 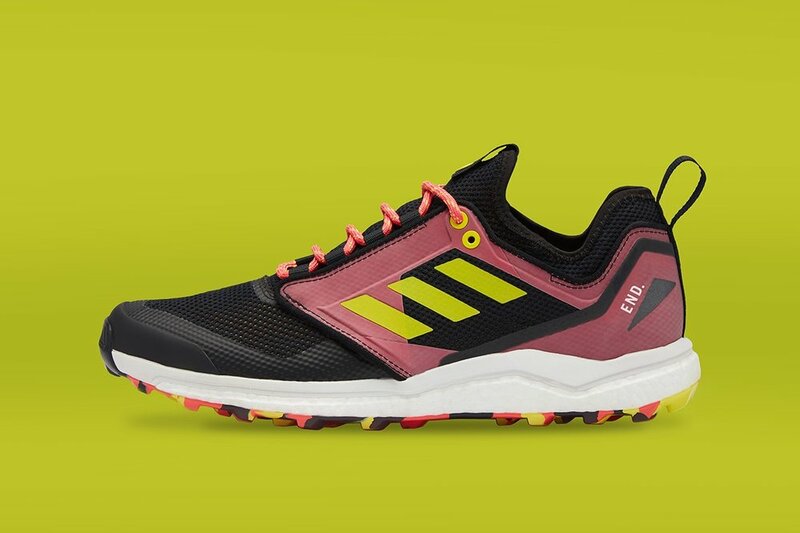 Dubbed ‘Thermochromic’ the trail-ready runner delivers on both form and function for a pioneering expression of contemporary athletic ideals. Tooled up with an EVA midsole for cushioning, sock-like support, and a Continental Rubber outsole for all-conditions grip, the sneaker delivers the custom specification of the Terrex Agravic XT silhouette, for the first time applying Thermochromic color-changing technology, designed to let the wearer know when they’re performing at their best. With uppers crafted in a tech-focused material palette of neoprene and mesh, the sneaker is finished with reflective stripe accents and TPU overlays for structure and support. Shifting from a stealth black base to the red-hot glow of embers when the wearer gets warmed up, the sneaker’s heat reactive panelling combines contemporary trail DNA with premium curb-appeal. 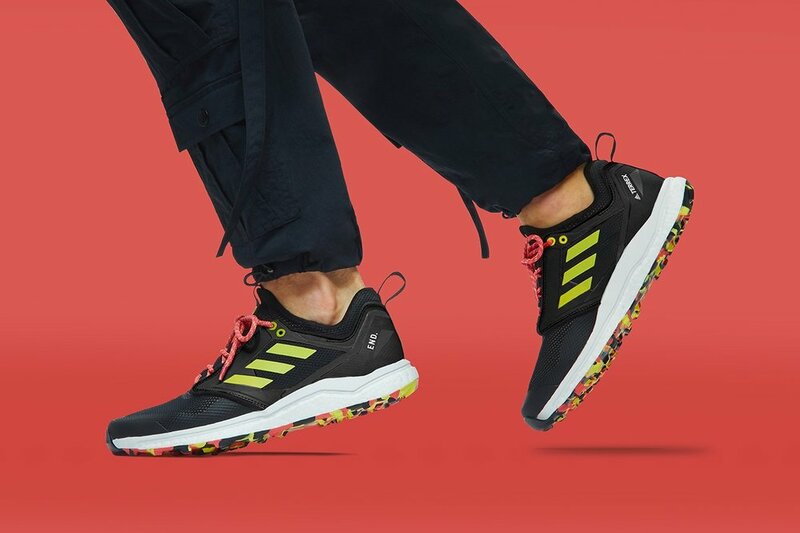 Built in a primarily black palette, with pops of color across the upper and Continental outsole, the sneaker is trail-ready design with a street state of mind.